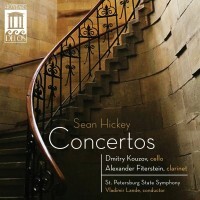 Thus American Record Guide responds to Left at the Fork in the Road, Sean Hickey's 2005 debut album on Naxos. Listeners can expect to have similar reactions to his first release for Delos, containing his engaging and beautifully crafted concertos. 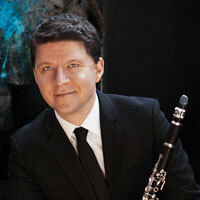 Both works get expert, inspired, and well-recorded performances from Maestro Vladimir Lande, featuring renowned cellist Dmitry Kouzov and vaunted clarinet virtuoso Alexander Fiterstein with excellent St. Petersburg Orchestras.